When McKhia had to stay in the hospital after her bone marrow transplant (BMT) to treat her cancer, her days got long. Hospital rooms can be boring and dull, especially when you aren’t feeling well and know you aren’t going to be able to go home soon. But Megan Voss, DNP, RN and Greta Yates, MA, MT-BC were determined to bring a bright spot to McKhia’s day. Megan and Greta helped develop the music therapy program at the University of Minnesota, which not only helps lift the spirits of kids during long hospital stays, but also uses music, instruments and other engaging activities to help kids ease their symptoms and work towards their treatment goals. Thanks to a generous grant from Otto Bremer Trust through Children’s Cancer Research Fund, Megan and Greta’s program recently received a $50,000 grant to continue funding the program and lay groundwork for future expansion. Music therapy is meant to compliment a child’s treatment protocol while helping them feel in control of their own healing. Unfortunately, it is rarely covered by insurance and hospitals often can’t give programs enough funding. 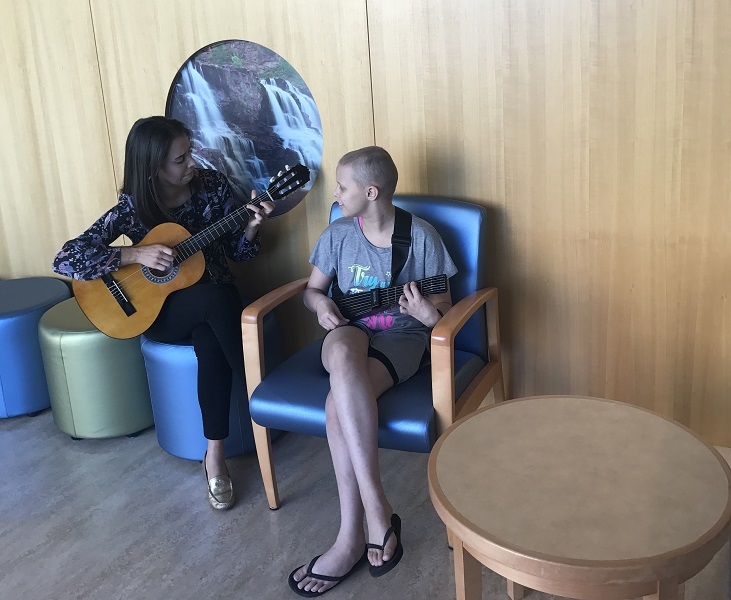 Generous donors like Otto Bremer Trust make this kind of healing possible for kids like McKhia, who learned to play guitar during her long hospital stay. 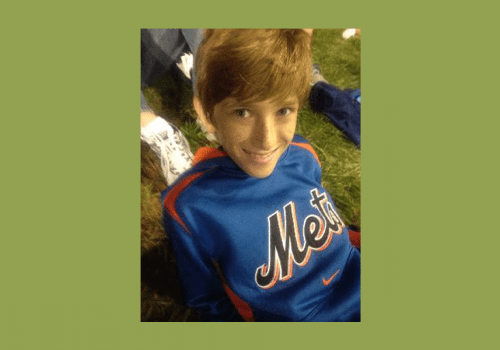 Megan and Greta recognize how important these experiences are to kids who are in the hospital, who are not only sick and feeling crummy, but also missing out on the childhood experiences they deserve. For kids like McKhia, visits from Megan and Greta were the highlight of her day. Because music therapy programs are rarely a funding priority in hospitals, programs sometimes struggle and have to provide on-again, off-again service to families while they apply for more funding. This can make it hard for doctors who refer patients to know if music therapy will be available, so they might not refer a child who could benefit from it. This grant will not only make sure the program can consistently serve patients, but also gives Megan and Greta the opportunity to explore expanding it, even to kids who are no longer in the hospital. As other departments in the hospital hear about the success of the program, they’re referring patients constantly, sometimes before they are even admitted. The $50,000 grant will be split up over two years. The ultimate hope is to provide enough hours of music therapy to be able to collect meaningful data for future studies, which will encourage hospitals around the country to invest in fully funded music and integrative therapy programs for their patients. A big thank you to Otto Bremer Trust and Megan and Greta for making music therapy possible for kids like McKhia! Your gift to Children’s Cancer Research Fund supports programs like music therapy and other integrative therapies that make tough days easier for kids fighting cancer.